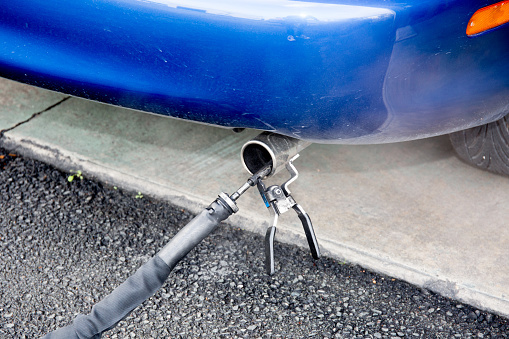 For a smog test in Azusa, the expert technicians at Johnny’s Auto Service can’t be beat. We understand the unique needs of the California market. Operating out of our facility in Covina, we’re exactly what you look for when you search for “smog test near me”–a full service shop with friendly technicians whose years of experience can help you navigate a California emissions test. Many places that do a smog check can’t offer repairs by law, forcing you to make two visits to two different service centers if any problems arise. Here at Johnny’s, we can both check your emissions and bring your vehicle up to California smog standards in one convenient place. So when you receive notice from the DMV that you’re due for a smog test in Azusa, visit us. You can either use our after hours drop-off, or bring your vehicle by during normal business hours–Monday through Friday, 7:30 a.m. to 5:00 p.m.–and wait in our comfortable lounge while we check and service your vehicle. We have free coffee and Wi-Fi available, so you can finish your work while you wait, or simply watch television in our waiting area. If our technicians detect a problem with your emissions, our team can explain in detail how exactly we can get your vehicle road ready. Even though we’re experts, we know how to talk to people and are happy to answer any questions you may have. At Johnny’s, you can rest assured that we’ll never recommend unnecessary repairs. Our company is an AAA Approved Auto Repair shop, with 100% satisfaction rating three years running and the five star reviews to back up our claims. We even carry the ASE Blue Seal of Approval, meaning that our technicians are ASE-certified, Master Technicians on our staff. When you’re searching for a smog test near me, bring your vehicle to a smog center that can also complete any necessary repairs! Our mechanics offer trusted service you can count on. Visit Johnny’s today to find out how we can help with your next smog test in Azusa.